EMDR is used to reduce feelings of emotional distress related to past experiences. By making your system less sensitive to certain memories, you can create opportunities for relief, freedom, and joy in everyday living. Originally developed to treat PTSD and general trauma-related symptoms, EMDR is also effective in treating anxiety, panic, addiction, phobias, grief, depression, sexual dysfunction, dissociative disorders, somatic symptoms, and many forms of cognitive and emotional pain. EMDR therapy is an eight-phase treatment which use bilateral sensation (noises, feelings, or sights on both your life and right side) to desensitize disturbing emotions. The more repeated the trauma and the younger the person was at the time it occurred, the more complex the symptoms and their treatment. For more information about EMDR processing and overall treatment, check out this page. EMDR has an extraordinary amount of research considering that it is a relatively “young” therapy—roughly 35 years old. 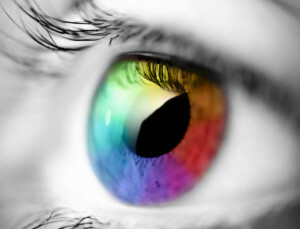 The International Society for Traumatic Stress Studies, rated EMDR a “Level A” treatment, the highest possible rating. Controlled studies suggest that EMDR is as effective as CBT with exposure therapy. Advantages of EMDR over exposure therapy include the fact that EMDR does not require any homework. Additionally, EMDR processing is not prolonged; rather, its length is determined by you and your therapist. Finally, EMDR is nonverbal, making it effective for those who prefer not to engage in exclusively talk-based therapy. For more information, EMDR International has a comprehensive overview of EMDR.